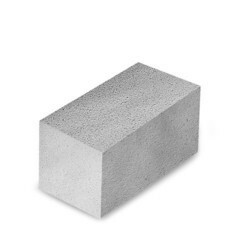 In order to keep pace with never ending demands of the customers, our company is instrumental in presenting an excellent quality assortment of Construction Fly Ash Bricks. -75mm manufactured as per IS standards. Our unit is based in Chhattisgarh and looking to export. "We are Looking for Buyers Majorly from Nagpur Region"
We are instrumental in offering our clients a high quality range of Fly Ash Bricks. The offered bricks are manufactured using optimum quality raw material and advanced technology. With an intention to enhance the standing we have built, we are occupied in offering a wide collection of Fly Ash Concrete Bricks. Being quality-centric entity, we are involved in offering the best series Wall Fly Ash Bricks. Owing to the wide experience in this domain, we are instrumental in offering Ash Brick to our clients. 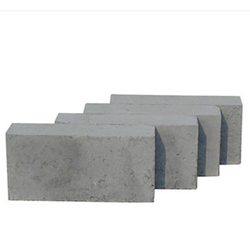 Fly Ash Bricks ( 4 inches ) We provide Fly Ash Bricks (4 inches), Durable Flyash Bricks and Blocks that are made of latest concrete compactive technology. These light weight bricks have uniform shape & size and are extensively used in construction industry.